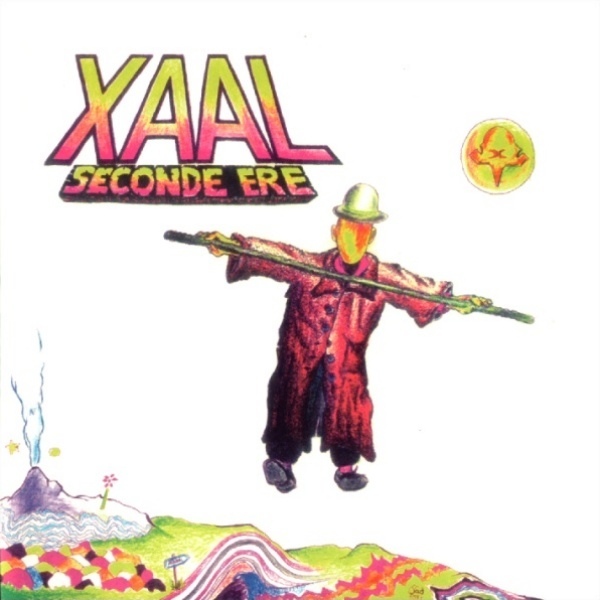 Xaal, a recent French trio (guitar, bass, drums) playing an intense music, inspired by Magma, made two discs: En Chemin / On the Way on the Progressive International label from the USA (then re-issued on the French MSI label) and another, recent, titled Seconde Ere, on Musea. Both albums feature this fusionesque zeuhl approach, with a bass playing that sometimes recalls Bernard Paganotti or Jannick Top. Xaal doesn't exist anymore, but they left two documents which are of high interest. 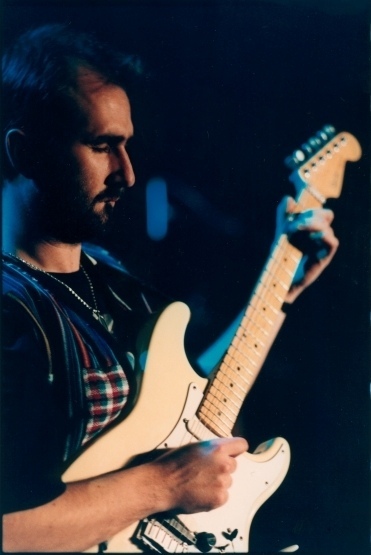 I chatted with Jad Ayache, composer and guitar player, from his home in France. Jad was just coming back from a practice session, it was about midnight his time. Your origins as a musician... when did you start on the guitar? I started about ten years ago, listening to Jimi Hendrix. He gave me the incentive to play. Hendrix had a way playing that is closer to chanting. He had a sound that went beyond the technique itself. There are a lot of guitarists out there that have amazing technical chops. I was influenced by guitarists like Jeff Beck, but Hendrix had an inimitable sound, that went deeply into him. And this is what you also found in Magma? The approach of these musicians you've listened to have influenced your own playing. Yes, and when I heard Magma... You know, it's more a conception of the music than the music itself. You see what I mean? I could write song ballads and it would be in the same spirit. A total investment in music, a high concentration. And this was shared by Xaal's other members? Improvisation had a place in there? Yes. Most of the themes that were later recorded were originally found as improvisations. Even if this was a written music, the essence of it was spontaneous in fact. We used to play, to improvise, during hours on a certain passage, until something got out of it. We were really getting the best of what everyone had inside. Same way when you're composing alone... You're sitting at the piano, and you're going to play, play and play, and then, something will come forth. It can take a long time, so perseverance is needed. We worked a lot in Xaal. Every musician that I like worked a lot. It's very rare that musicians click their fingers, like that, and this does it. These are accidents that can happen in history; these people record one album, or two, they keep the same recipe, but musicians that stay for a long time all have acquired a discipline. I think that even Hendrix, for instance, who looked like a spontaneous kind of guy, who was playing a lot with stage gimmicks, had his guitar glued to him and played all day long. From the outset he had this somewhat extravagant attitude, but it was somebody who worked a lot. You think that in these moments, when 'something' happens, musicians become vessels for a higher energy that flows through them? There are a lot of things. There are magical meetings also. You can fool around for a long time... For instance, in Xaal, there was this very neat thing: we were complementary. Nicolas, the bass player, for instance, never composed. He was never able to compose a piece by himself. But when we were playing together he was coming with ideas, he was helping us. Something's always happening inside these magical meetings. Something is created between people. The importance of these special meetings must not be underestimated. A common "état d'ame." Anyhow, the thing is to meet people who have, above everything, the desire to play. That are there to... Well, the mentality of many musicians these days is, well, "we try to make something, we put out a list of the tunes, and then, how much money are we getting?" It has to happen as soon as possible. There's a 'shark' mentality amongst many musicians, and this hurts music. Music never pays immediately. There's a lot of work. We can't just make a practice, then hit the road. It doesn’t happen like a finger snap. 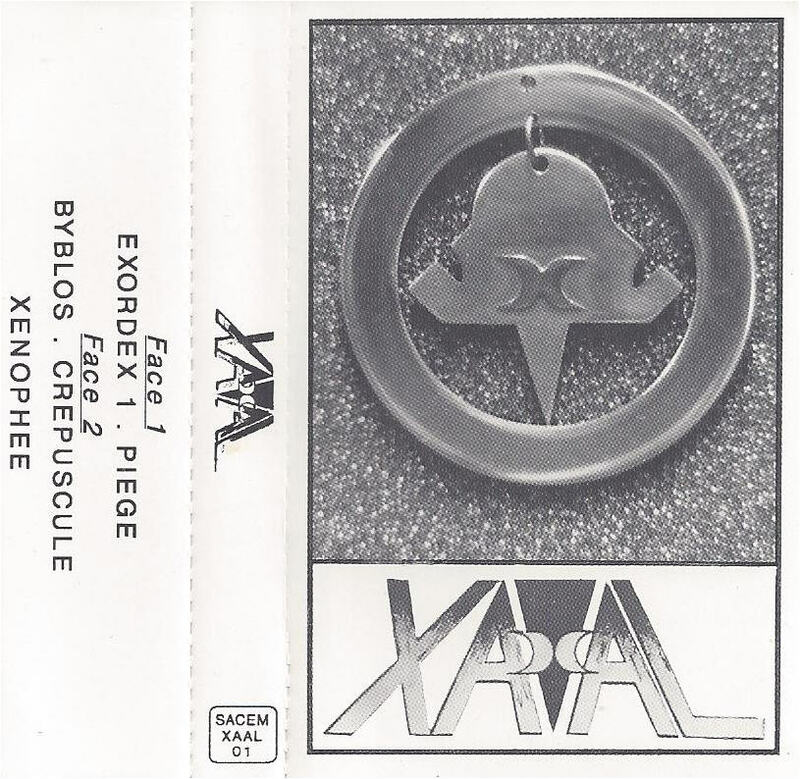 On the first Xaal disc there is a certain concept, a story that is, in fact, a pretext for a much more profound and intense music. If we look at the titles of your second and most recent disc: "R'ah" ("He went"), "Jamais tranquille" ("Never at rest"), "Al Abad" ("Eternity"), "Piege" ("Trap"), "Force" ("Strength"), is there also a concept, perhaps philosophical, to be found? Not really. "Al Abad" is a piece Xaal played for a long time. It has an atmosphere a bit in the style of John Coltrane's "Infinity." But it didn't work that well, so we tossed it aside for some time. And then, one day, it happened. And from that time we knew it was it, and we played it likewise. It was a composition I made a long time ago, on which Nicolas did some exploration on the bass. We then knew that was what the piece was all about. The saxophone is only to be found on the disc. We worked together. Alex is very familiar with that kind of atmosphere as he listens a lot to Arab music. I knew him for a long time and thought about him. He had the sound for that piece. You're from Lebanon, is that right? Yes, from the Aley area, in the mountains, on the road to Damas, about 30 km from Beirut. You lived in France now for some time now... you moved to France before the war in Lebanon, correct? Yes. My mother is French. I've returned to Lebanon recently and I found a desolate scenery. Instead of the small, homey, two and three story stone houses they've built towering buildings of concrete. My origins do have a place in the music I play. All of the music I listened to when I was a child... I adore female Arab singers like Fairuz from Lebanon and Oum Kalssoum from Egypt. In fact, it is very surprising. Oum Kalssoum is someone who performed in a very modal way. I don't think she knew modal jazz as it was performed at that time by people like Coltrane and Pharaoh Sanders. She improvises for hours on modal material. Exactly like Black jazz musicians were doing in the USA in the sixties. I'm very familiar with Middle-Eastern scales. At times you have the choice between different ways and then, you do what is more natural. What is the 'story' behind the recent second disc? We recorded the material in such a way that it wouldn't get lost. At that time we weren't thinking about a follow up to our first album. We can consider the first disc as an entity on its own, but the second is more like a resumé of the band as a trio, during the recent years. Patrick [Boileau, drummer] was against releasing this disc on the basis of the quality of the sound. But then, the sound is very good. There's more of a feeling of the spirit of the band than on the first, I find. We couldn't redo the mix as the band wasn't together anymore. We weren't doing any concerts, we didn't have the financial backup to do it. Patrick wanted to do the remixing, but we weren't able. Musea insisted to release the recordings and I too wanted this music to 'go out' nevertheless. So, it happened. Yes, we played it almost as it is on the disc, after an intense playing session. One take. When we recorded it, we made just but slight arrangements. Nicolas suffered, at a younger age, of an ear infection. 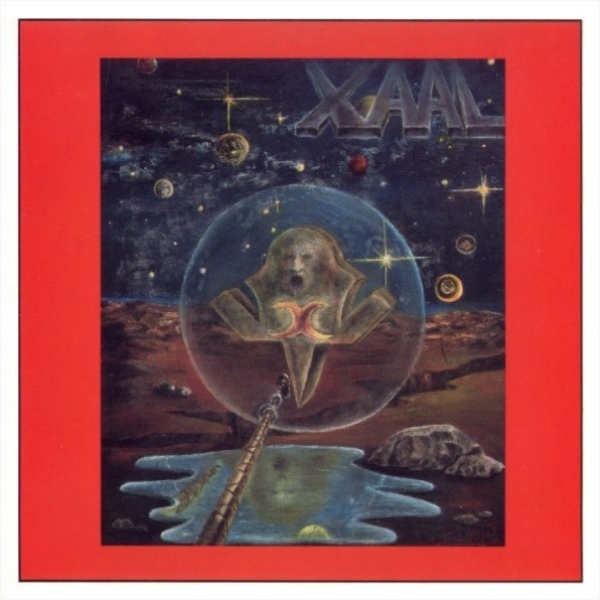 Xaal used to play very loud, so at times he felt a bit of a discomfort. But Nicolas is very fine, as he's still currently playing. What I missed in Xaal was a certain harmonic exploration. We were a bit limited since we were a trio. I had a lot of weight on my shoulders since I was playing the themes. And like I said, it was a band that played very loudly. We just couldn't play everything, you see. There's a great deal of chordal work we weren't able to explore. So, nowadays I play in two bands: I have one jazz fusion band with a piano player, an electric music; and then another band, with one female and one male singer. This band isn't yet in a stable state. We once were up to 13 in that band, with brass players, a guitar player, two keyboard players, and three singers. I'm now exploring a bit, the idea being making a band focused on singing and vocal harmonies. It was very nice to chat with you, Jad. Keep up the good work. It was a pleasure for me too. We'll keep in touch.